1 post it | This Blog Rules | Why go elsewhere? 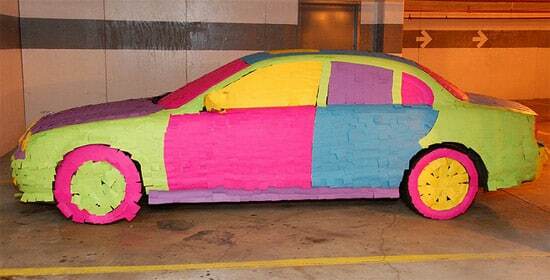 A Jaguar covered up in 14,000 post-its. A prank made by an office worker’s colleagues. It took them a mere two hours to accomplish this prank.